PARIS (AP) — French President Emmanuel Macron has expressed France’s support for Georgia’s territorial integrity, as the former Soviet Republic seeks closer ties with the European Union. 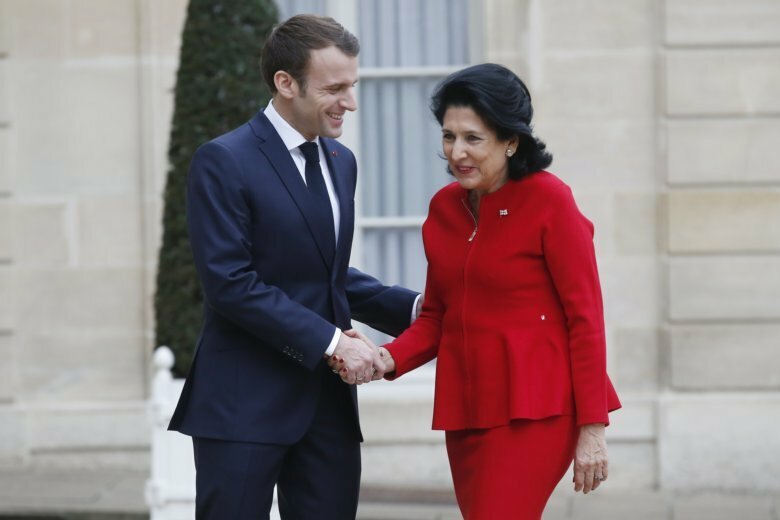 Macron met Tuesday in Paris with Georgia’s newly-elected President, Salome Zurabishvili, who was born in France and once served as a French diplomat. He condemned the creation of actual borders between the provinces of South Ossetia and Abkhazia and the rest of the country. Georgia lost control over both provinces after the war with Russia ten years ago. Macron said France continuously called on Russia to respect the conditions of the 2008 peace deal.